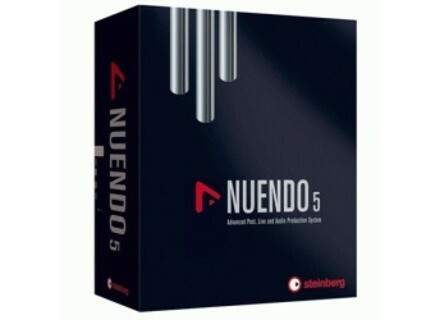 Nuendo 5, General Sequencer from Steinberg in the Nuendo series. Product replaced by the Steinberg Nuendo 6. Steinberg has announced that, with the advent of releasing its new advanced post, live and audio production system, it is presenting Nuendo 5 at certified Nuendo dealers and post-production studios in over twelve countries, from Japan to Europe over to the United States. Nuendo 5 will also be introduced at the AES Show in London, taking place on May 22–25. The tour's initial leg begins on May 3, 2010, and will be under way for several weeks to come. 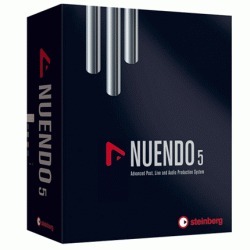 Steinberg says: "Nuendo 5 empowers professionals working in audio post-production for the film, television and media industry to higher levels of productivity, with a dedicated feature set that focuses on day-to-day production requirements like workflow, speed, versatility and reliability. Post-production editors, film mixers as well as live recording engineers around the world rely on the flexibility and industry openness that Nuendo provides." These are not drop-in sessions and prior booking is required until May 3, 2010. Visit the Nuendo Tour page for dates and booking details. Kreativ Sounds SYN Bass Station Sounds Kreativ Sounds announced the release of SYN Bass Station Sounds, a new collection of presets for the well known Novation Bass Station synthesizer, software and hardware, and also for Native Instruments KORE Workstation. Retro Sampling Erlenmeyer Field Retro Sampling and PowerFX have announced the release of Erlenmeyer Field, a new sample-based virtual instrument plug-in for film and cinematic composers trying to get the sound and feeling that were established in thriller movies and sci-fi series in the early '90s. Dangerous Bear Underground Metaverse Dangerous Bear Underground has announced the release of Metaverse, a new library for Camel Audio's Alchemy.